For completeness here, the presence of a WR Peugeot has been confirmed for Sebring next month, as has Tom Milner’s presence in the #51 Multimatic Motorsports Team Panoz Esperante. 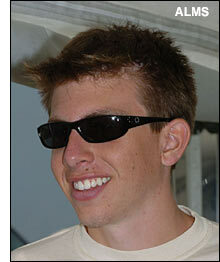 We posted the news from Auto Hebdo regarding the WR at Sebring, back in December – here – while 20 year old Tom Milner in a Panoz seemed suspiciously likely (to us) on January 24 – here. Auto Hebdo suggested two months ago that Patrice Roussel, Fréderic Auchard and Olivier Porta would drive the WR Peugeot in the Mobil 1 Sebring 12 Hours, the car to be powered by a brand new, four cylinder, turbocharged engine. A WR finished third in LMP675 at Sebring in 2002, this the Mazda-powered Jim Downing entry, the Welter Racing car finishing fifth in class that year. 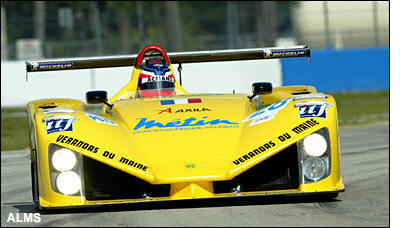 Perhaps the yellow car this year will glow something like the rear end of the Mazda-powered car four years ago? Downing’s rotary was instantly recognizable as it passed by. As we suggested, Tom Milner will partner Gunnar Jeannette throughout 2006, as the (former) BMW man switches away from his father’s PTG, to the Multimatic-run Panoz team. David Brabham and Scott Maxwell will drive the #50 panoz this season. No word yet on third drivers in each car for Sebring. "It will be quite strange to drive against Dad's team, especially after testing both the Panoz and BMW at the recent Sebring test,” commented Tom Milner. “The plan is certainly to give BMW, Porsche, Lexus and Ferrari all a hard time, and I am sure they will be doing the same in return, especially the PTG guys. I was very impressed with the Panoz at Sebring. It has excellent power and I can't wait to get back in the car and complete our preparations for Sebring." “I believe he (Milner) and Gunnar are two of the most talented young road racers in North America,” said Multimatic Vice President and Motorsports Technical Director Larry Holt, “and teaming them with Brabs and Scotty's experience is an ideal combination. We have worked very hard to bring together everything we need to challenge for the championship, and our outstanding driver lineup certainly fills me with confidence."